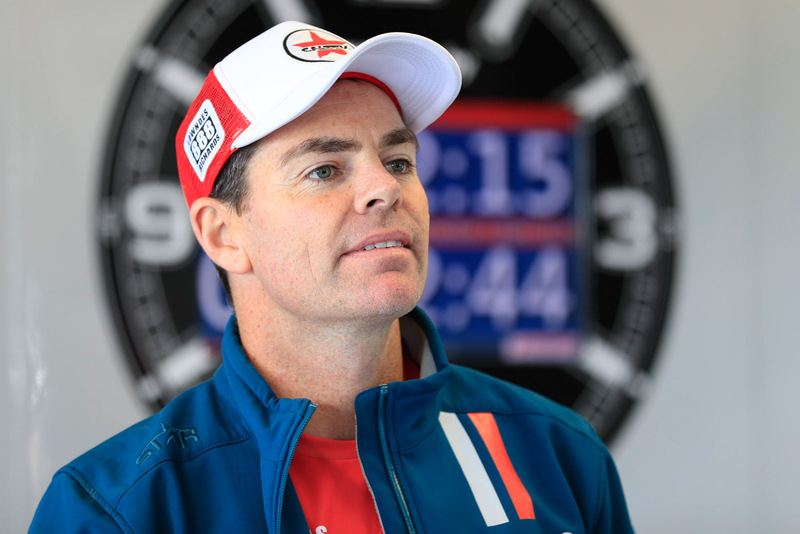 Defending Supercheap Auto Bathurst 1000 champion Craig Lowndes has declared he and co-driver Steven Richards must improve their performance and tune up the TeamVortex Commodore if they are to feature at the business end of the Great Race. The duo finished the Wilson Security Sandown 500 eighth in the third Triple Eight entry, but only after both drivers had offs during the race. Richards was caught out by slippery turn four in the wet early going, while Lowndes had an excursion at turn two and later locked up and speared off at Dandenong Road corner, effectively taking the car out of contention for the podium. “After Sandown there is no doubt Steve and I are dead keen on obviously rectifying some of the issues we had,” Lowndes told supercars.com. “We both made mistakes." “We also need to make the car probably a little bit nicer to drive. “It wasn’t bad but it was a difficult car to drive over the weekend, especially in the changing conditions. Earlier in the weekend Richards had shown strong pace in practice but then got caught up in the first corner drama of the co-drivers’ race. 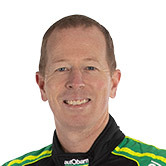 Dumped down the order he fought back to 16th, while Lowndes took the car on to 12th in the main drivers’ qualifying race, from where it started the 500. “It would have been nice to be closer to the front starting the main race on Sunday, but even then we managed to circulate safely and stay out of trouble until Richo got caught out at turn four. “With the changing conditions, even with Richo’s mishap … and mine at turn two, we were in a good positon going in to that last pit stop. “Then I just locked up a tyre going into Dandenong Road and couldn’t clear it. I think we were third on the track at that point to be being back to sixth. “I don’t think we were in contention for the win but we were certainly in contention for the podium. The silver lining for Lowndes was that he finished Sandown in a better positon in the championship fight than when he started the race. 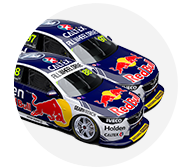 That’s because Triple Eight team-mate Jamie Whincup could only finish 13th with Paul Dumbrell in the Red Bull Commodore, handing over the championship lead to the second Red Bull Holden of Shane van Gisbergen, which with Alex Premat co-driving, finished second. 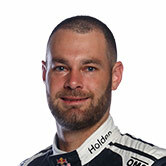 Lowndes entered Sandown trailing Whincup by 198 points and exited trailing van Gisbergen by 157 points. “Jamie had his issues with drive-through penalties and seatbelts and so on, but fundamentally his car was fast,” said Lowndes. “We just didn’t do a good enough job in the lead-up into it, but we take a lot out of it. I made mistakes. Richo made a mistakes and we were still in contention. This year’s Sandown result continues a poor run for the duo at the suburban Melbourne circuit, where Lowndes scored the last of his five wins with former co-driver Warren Luff in 2012. 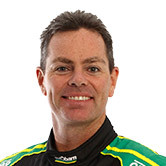 Richards has never won the Sandown 500. 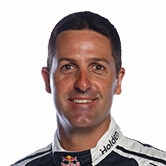 However, he has four wins at Mount Panorama in the 1000 and Lowndes six, including their victory together last year. “It’s just the way it is,” Lowndes said of his and Richards’ recent Sandown efforts. 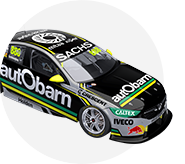 “Richo was really happy with the way the car was in Friday practice, he actually said he didn’t want any changes to the car, he said it was great. “We were really encouraged by that but as the conditions changed and the track gripped up our car went away a bit, our qualifying wasn’t gear and our qualifying races with Steve getting caught up in turn one didn’t help us.